Similar to the Star Wars Edtition OnePlus 5T that was launched last year, the OnePlus 6 Avengers Edition will sell at premium price when compared to other variants. 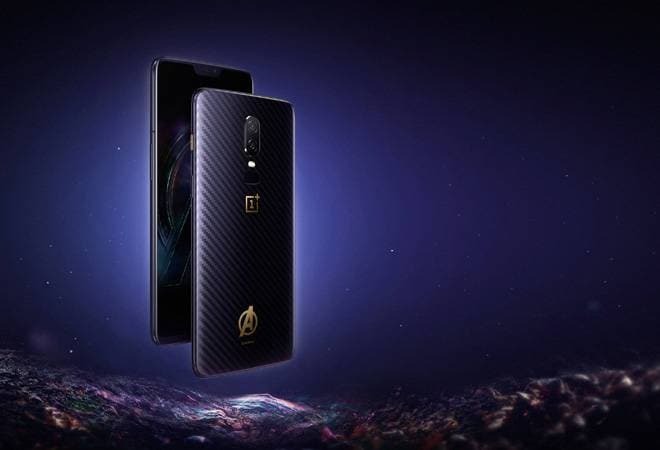 The OnePlus 6 Avengers: Infinity War edition was unveiled at the OnePlus launch event in Mumbai on Thursday. This limited edition OnePlus 6 has been priced at Rs 44,999 for Indian markets. The OnePlus 6 Avengers: Infinity War edition is up on sale starting today via Amazon India. The Shenzen based company did not reveal the Special Edition phone during the global launch event in London but revealed the same in China a few hours before it was launched in India. Similar to the Star Wars Edtition OnePlus 5T that was launched last year, the OnePlus 6 Avengers Edition will sell at premium price when compared to other variants. The OnePlus 6 Avengers: Infinity War edition has a carbon fibre textured back under a layer of Corning Gorilla Glass 5, the same as the regular OnePlus 6 variants. The rear also features the OnePlus and Avengers logos in gold, the former right below the fingerprint scanner and the latter further below towards the lower end. The textured alert slider on the right of the device has also been given a golden treatment. 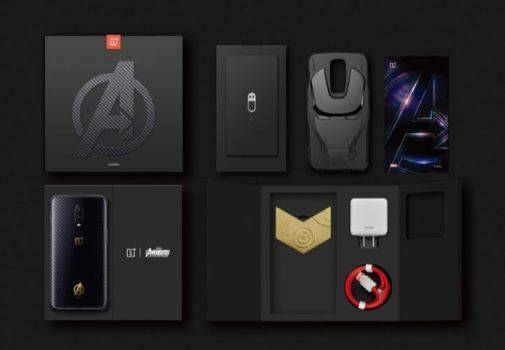 Some additions have been made to the retail box OnePlus 6 Avengers: Infinity War edition will be shipping in. The limited edition OnePlus 6 ships with a protective case fashioned after the Iron Man mask from Marvel cinematic universe, and a metal souvenir with some logos. Company's proprietary Dash charger along with a USB Type-A to USB Type-C cable have also been included in the retail box. The OnePlus 6 Avengers: Infinity War edition shares the same spec list as the regular variants. It runs the Qualcomm Snapdragon 845 SoC under the hood, and will be available in only the 8GB RAM, 256GB internal storage configuration. The device will run OxygenOS 5.1 based on Android 8.1 Oreo. It will also be one of the first device to support Android P Beta and will recieve stable Android P update when it comes. At the front is the 6.28-inch AMOLED screen with FullHD+ resolution (2280x1080 pixels). With a display notch at the top and an aspect ratio of 19:9, the screen covers around 83 per cent of the front of OnePlus 6 Avengers: Infinity War edition. In the optics department, the OnePlus 6 Avengers: Infinity War edition rocks a dual camera setup at the rear with 20MP Sony IMX376K and 16MP Sony IMX519 sensors. The pixel size of the primary sensor has been increased 19 per cent to1.22 microns for better low-light performance. The selfie camera is a 16MP Sony IMX371 sensor with an aperture of f/2.0. Selfie portraits will be brought to the device within two weeks via updates. The camera on OnePlus 6 Avengers: Infinity War edition comes with both optical image stabilisation (OIS) and electronic image stabilisation (EIS). OnePlus is also offering slow motion videos at 1080p at 240fps and 720p at 480fps. OnePlus is offering Gaming Mode on its latest flagship with certain improvement. The Gaming Mode on OnePlus 6 stops background processes when running a game. It now also prioritises LTE network in favour of the game for better online gameplay.